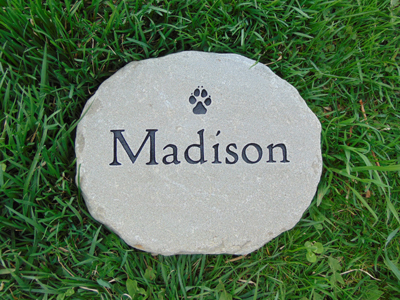 Our Medium Engraved Stone is 11-12 inches across and 2 inches thick. 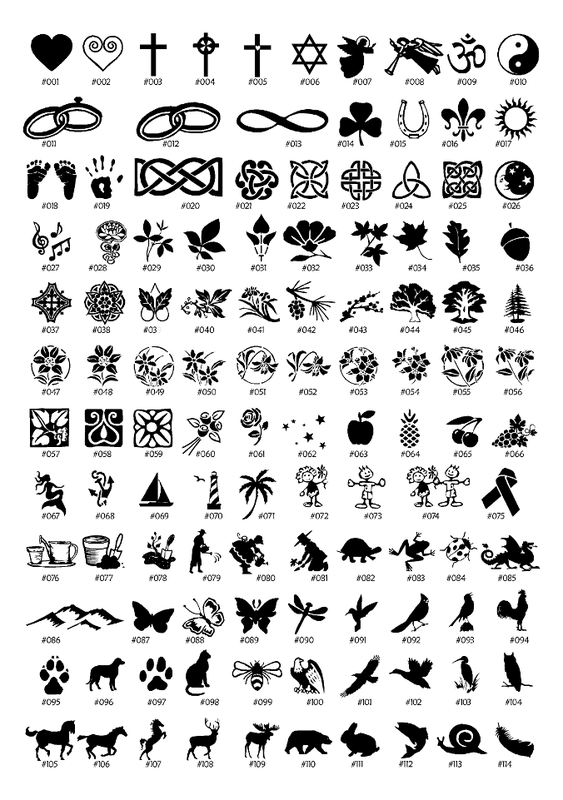 They can be customized with three lines of text and a graphic. 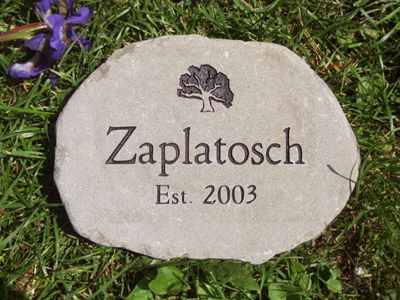 All of our engraved stones are made of tumbled natural bluestone. The rock is a perfect gift. Everyone loved it, especially Mary. I got the stone today! It's absolutely perfect! Thank you so much for everything you have done, I love it!! 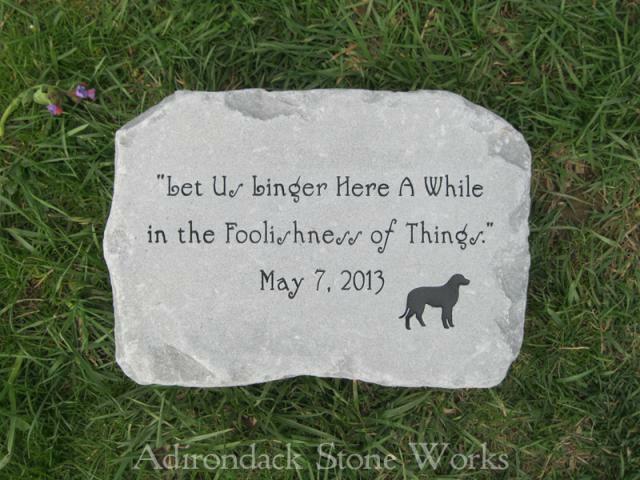 The stone arrived Monday, and it's beautiful! kind help and wonderful service. I received the medium stone and absolutely love it!! I took it to work and it got rave reviews!! My co-workers are thrilled with the way it looks. Thanks so much for helping me with the stick people design. It is perfect!! 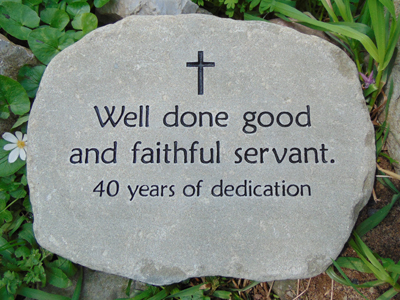 Thanks so much for the garden stone. The delivery was fast and the stone is beautiful. 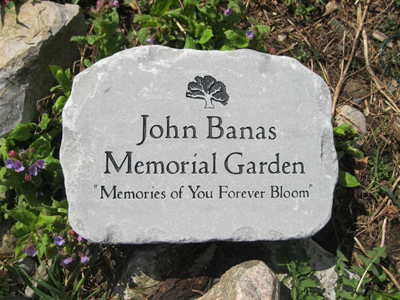 I want to thank you for the beautiful job you did on the memorial stone for J. I was very impressed with the quality and it exceeded my expectations. I referred you to my mother and she will be ordering one in honor of my dad... in the near future. Thanks so much for finding the duck graphic as well. 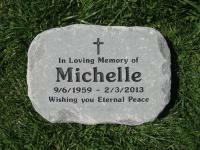 I received the engraved stone today, it brought tears to my eyes. 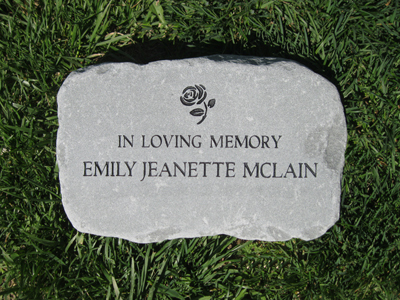 This stone was bought as a gift for my brother and sister-in-law as a memorial for their son that passed away too early in life, only 23 years old. We are having a famly reunion, the first since Sean's passing, next weekend, and I will present them with this special reminder of Sean and his incredible life. I know the tears will be plentious. Thank you for sharing your talents and your service. I will recommend your company whole-heartedly to everyone I know! What a beautiful stone you sent me. As it turned out our school had an appreciation dinner last night and the stone appeared at my doorstep. We presented it to our Principle who is leaving the district and he cried. He said he never received such a wonderful gift. Thank you for doing for me so quickly. With much appreciation, I thank you. The Head Start stone came today and it is gorgeous. I have never seen such a beautiful stone before. 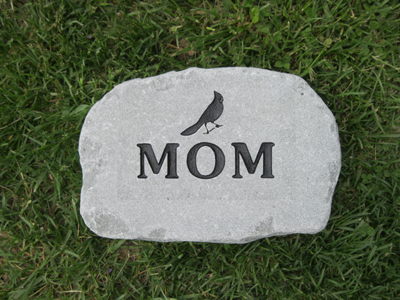 I want to order a personalized stone for each of my children and for other gifts! 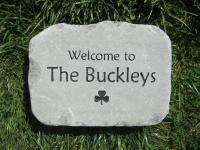 The craftsmanship is superb and the overall presentation on the stone exquisite. You did a great job and you were so quick! This stone will be placed outside BCIU main office with the rose bush that is to be planted in honor of Head Start's 50 years of opportunity on May 18th. Thanks again! Wow! You guys did a great job. I never thought you would get it to me in time for the birthday, but you did! I'm really impressed. And it looks great!! Thanks for everything.